Westech Wax performs extensive lab tests to quantify melting point, color, hardness, brittleness, flow, rheology, elasticity in order to assure a consistent, great wax for your needs. Do you know exactly how well your wax flows? Can you quantify small changes in color? What about how brittle the wax is, or how it flows and covers other surfaces? ll these qualities of a wax are critical to consistency in your operation, as well as necessary for us to develop the best wax products. 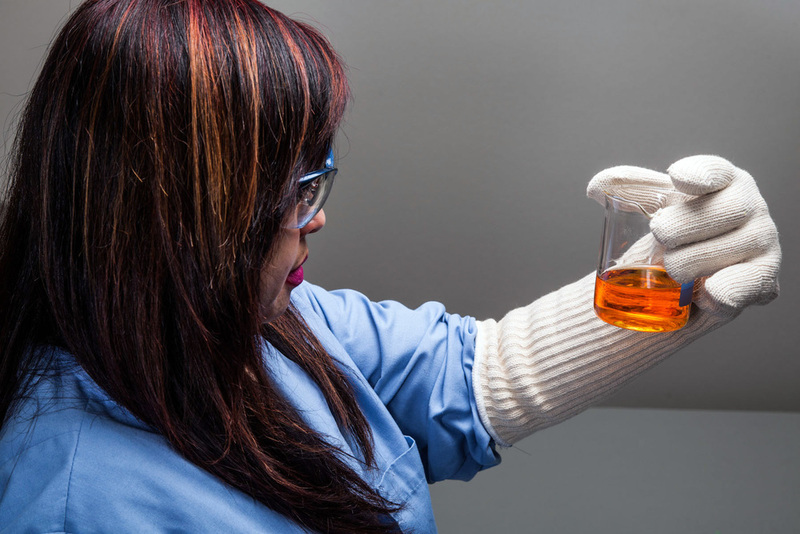 Our chemists use the information from our lab to develop specific products like our JEL-SET® Wax, Pattern Waxes, HYDROSOL Wax, and our StikWax products. As an ISO-certified facility, we have standard procedures to make sure that those products are consistently great -- unlike many of the small wax manufacturers, where you're left hoping that you got a good batch of wax. For our Contract Manufacturing clients, we test and modify and test and modify until we have a wax or wax-like product that's the right color, melting temperature, hardness, elasticity, smell, opacity, texture and more. This is important in an industry like investment casting -- and it's extremely critical in fields like aerospace and medical wax.